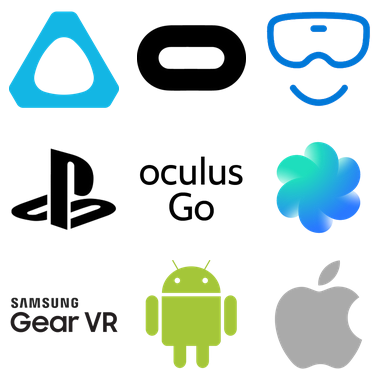 VR Explorer (VRE) is designed to be a simple, easy-to-use database of VR games and experiences with additional user functionality thrown in, such as User Created Lists, and a simple reviews/ratings system. We also have a section listing all the latest VR trailers, Gameplay videos, and Video reviews here. The site is very much in development still, but I'm hoping that even at this early stage, some of you already find it to be a useful resource when searching for your next VR game or experience. I have a lot planned for the site, and if any of you like the site enough to consider offering your support, please check out my support page here for ways that you can help the site get off the ground, as it would be very much appreciated. Thank you for your interest in VRE. I hope you enjoy the site.